Ross Clark – Stock Markets, Gold, Oil, US Dollar, Canadian Dollar. Rick Rule – Current State of Mining and Where He’s Putting his Money. John Kaiser – Junior Miners, PDAC Curse. John Kaiser mentioned a Special Offer during his interview. Enter Code Here. Larry Reaugh President & CEO of American Manganese Inc. on Company Showcase – American Manganese Progress Report on Pilot Plant. Apple Recycling, Jim Kramer on Shorts, and the Manipulation of Commodity Markets. Read the Latest News. Read Clean Technica Article – “Jim Cramer Explains How Short Sellers Manipulate Stocks — Like Tesla (TSLA)“. Read Earther/Gizmodo Article – “Behind the Hype of Apple’s Plan to End Mining“. Check out AMY’s Financing on Stockhouse DealRoom. Ross Clark – Stocks, Bonds, Dollar and Precious Metals. Gerald Celente – US Economy, Global Slowdown, Interest Rates. Wolf Richter – Subprime Auto Loans, Electric Vehicles, and New York. Anthony Scaramucci – Markets, Uptick Rule, International Trade. Victor Adair – Global Economy, Crude Oil. Ross Clark – Gold. Stock Markets. Robert Campbell – US Dollar, Trade with China, Credit. Allan Mark Angell – Collapse of the Luxury Housing Market. Ross Clark – Stock Markets, Gold, Crude Oil, Canadian Dollar. Rick Rule – Gold, Silver, His Biggest Win. Wolf Richter – Automotive Sector, Global Slow Down, US Dollar. Ross Clark – Gold. Marijuana. Gerald Celente – Trends in 2019. Civil Unrest. Ed Steer – Gold and Silver. J.P. Morgan Caught Manipulating Gold Prices. 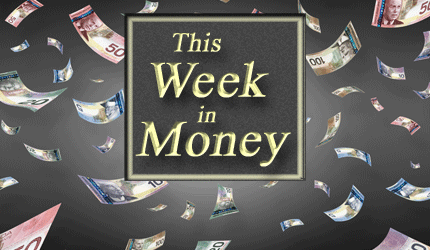 Ross Clark – Stock Market Volatility, Gold, Silver, Crude Oil, and Canadian Dollar. Victor Adair – Stock Markets. US Fed. Ross Kay – Dramatic Drop in the Value of Canadian Real Estate. Larry Reaugh President & CEO of American Manganese Inc. on Company Showcase – Mining High Grade Gold vs. Urban Mining Lithium-Ion EV Batteries. CEO discusses Pilot Plant Visit and the History of Electric Vehicles. Read Information Age Article “Electric Car – The Dream Translating into Reality“. Read Mining.com Article “Blackwater Founder Launches Fund to Invest in Electric Car Battery Metals“. Check out AMY’s Financing on Stockhouse DealRoom. Watch AMY’s Video – “Our Revolutionary Lithium-ion Battery Recycling Technology”. Ross Clark – Santa Claus Rally, Fed Rate Hike. Eric Hadik – Gold, Oil, US Dollar, and Interest Rates. Danielle Park – Importance of Diversification. Jim Pettit President & CEO of Aben Resouces Ltd. on Company Showcase – Aben CEO Discusses 2018 Drilling Season in BC’s Golden Triangle – 2019 Exploration Plans for BC, Sask. & the Yukon. View Corporate Presentation. Jared Lazerson President & CEO of MGX Minerals Inc. on Company Showcase – MGX Closes $6.8 Million Private Placement. Premium to Market Financing Shows Confidence in Resource and CleanTech Sectors. Read the Latest News. Ross Clark – S&P Death Cross, Santa Claus Rally, and Gold. Gerald Celente – A Look into 2019. James Corbett – Huawei, Canada, US/China Trade War. Larry Reaugh President & CEO of American Manganese Inc. on Company Showcase – Good News From American Manganese This Week. CEO Details Highlights of Partnership and Patent. Read the News from Dec. 14 – “American Manganese Achieves Significant Milestone with Lithium-Ion Battery Recycling Patent“. 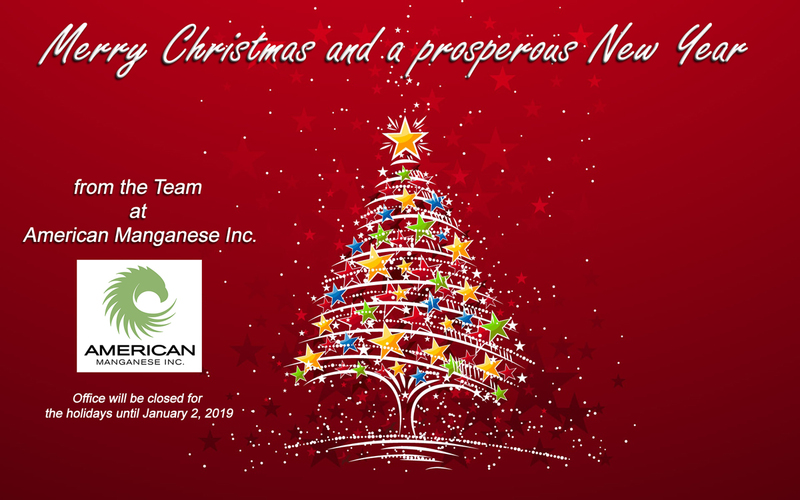 Read the News from Dec. 11 – “American Manganese Inc. Signs Memorandum of Understanding with Battery Safety Solutions B.V.“. Watch ProActive Investors Interview with Steve Darling – “American Manganese Gets Patent Allowance, Signs MOU with Battery Safety Solutions“. Read The Prospector News Article – “Patent Imminent For American Manganese – 100% Recovery of Valuable Battery Metals For Reuse“. Check out AMY’s Financing on Stockhouse DealRoom Watch AMY’s Video – “Our Revolutionary Lithium-ion Battery Recycling Technology”. See AMY Business Plan. View AMY Powerpoint. Ross Clark – Stock Markets, Oil, Gold. Marc Faber – China, Real Estate, Gold, Dow. Wolf Richter – Stock Market, Real Estate and Interest Rates. Peter Ingram – Tax Planning, Cross Border Tax. Larry Reaugh President & CEO of American Manganese Inc. on Company Showcase – Pilot Plant To Start Up Mid-December. CEO Discusses Patent Pending and Private Placement. Read the Latest News. Marco Antonio Murillo November 19, 2018 at 7:47 pm : There is no doubt American Manganese patents and project recycling Li-Co+ batteries is groundbreaking. The company is successfully establishing a foundation for a supply-chain business in one of the core areas of the energy sector. The idea of using their knowhow refining manganese from Artillery Peak to obtain 100% of the cathode materials reveals there is an effective flow of resources inside their board of directors. Now, bringing that process to a pilot-plant scale is a challenge that only a strong management and capable staff usually do. I´m sure that at this point, Larry and his team have gaines lots of expereience by partnering with Kemetco. There is no doubt that the patents give shareholders a hedged investment. Once again, I think the news about what has been obtained so far should be in BC´s industry news headlines soon. Five plus years ago, I wrote two articles about electric vehicles for Resource World Magazine, the rush among auto makers back then had almost everyone competing for a market share. Be it hybrids or fully electric, vehicles that use electricity for their mobility rely on a better battery. I wonder if the inventor of today´s alkaline battery, Canadian Lewis Urry ever thought of powering an electric vehicle…Read Euractiv.com Article – “Race for Lithium Illustrates EU Drive for ‘Strategic’ Raw Materials“. Read Bloomberg Article – “Electric Car Revolution Could Stall on Cobalt Shortage“. Jim Pettit President & CEO of Aben Resources Ltd. on Company Showcase – CEO Provides Update on Forrest Kerr Gold Project in BC’s Golden Triangle, Justin Yukon Project, Chico Saskatchewan Project. Read the Latest News. Ross Clark – Oil Price Slide. Robert Campbell – Real Estate Turning. Glen Kelleway – Getting The Best Mortgage – Banks are Not the Only Source. Hilliard MacBeth – Canadian Real Estate, Home Equity Line of Credit, Mortgages. Bob Hoye – US Election Results and the Markets. Larry Reaugh President & CEO of American Manganese on Company Showcase – American Manganese CEO Discusses Private Placement – Lithium Ion Battery Recycling Attracting Media Spotlight. Read the Latest News. Ross Clark – US Economy, Platinum. Maxime Bernier – The People’s Party of Canada, Tax Cuts, Reduce Red Tape, Promote Free Enterprise in Canada. James Corbett – Japan, China.